Beautiful pictures and anatomical drawings. Very detailed. I would recommend for late stage elementary students (4th grade) and older, especially since the last chapter deals with the reproductive system. Honestly, I look forward to using it with clients in the future, when I become a personal trainer. 224 pages. Amazon lists it at $8. I got at T.J. Maxx for $3. A very good quick reference. 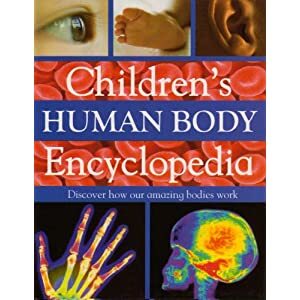 This entry was posted in Fitness, Health & Nutrition, Resources and tagged anatomy, body, book review, children, encyclopedia, human, reference. Bookmark the permalink.